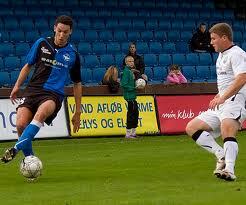 GK Tomer Chencinski recently concluded a one week trial with Örebro SK of the Swedish Allsveskan. VPS and Chencinski recently mutually agreed on extending an option for the 2012 season. With Chencinski's 2012 future secured, the two clubs agreed on a transfer fee prior to Tomer's training stint. Tomer impressed the OSK coaching staff with Lars Mosander stating, "He rules the back line well, is good in the game with his feet and a great opening game. In addition, he captures the balls as well." Adda Djeziri took advantage of a defensive error from FC Copenhagen and slotted home the game winner in a 4-2 HB Koge win. Djeziri will be a Free Agent in January 2012 and has featured as a striker and winger for HB Koge this season. 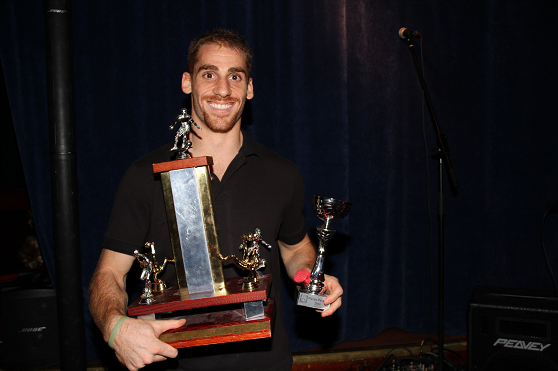 At VPS' end of season banquet on Saturday, the club annoucned Tomer Chencinski as the club's Most Valuable Player and Player of the Year for the 2011 Season. It has been a fantastic year for Tomer who helped the club avoid relegation and remain in the Finnish Veikkausliiga for 2012. Tomer was named as one of the Top #2 GKs in Finland and alost one of the Top #5 "Biggest Surprises" from the season after he emerged as a starter after Round 6. Tomer begain the season as the club's backup after he impressed VPS on trial who were looking for a #2 GK. Right away, the club's head coach proclaimed that VPS had a luxury of "Two Number One GKs." Before the close of the season, Tomer and VPS agreed to mutually extend the option on his contract where he will be in between the pipes for the 2012 season, that is, if another club doesn't buy Tomer. There has been numerous clubs in recent weeks from Scandinavia expressing interest in the Canadian-Polish-Israeli netminder, and there are arrangements for Tomer to go on trial soon. After finishing a strong first year with IFK Mariehamn, Mason entered his first full season with the Finnish club at the start of 2011. Trafford made 25 starts, scoring 1 goal and adding 1 assist, and led the team to an improved finish to 7th place, an improvement from 2010's 13th place finish. Mason played the majority of the season at center back but also played an important left back role towards the end of the season. Watch Mason provide an assist at the 2:38 mark in IFK Mariehman's 2-1 season finale win over FC Honka. FC Tampa Bay's career leading goal scorer Aaron King joings the Chicago Fire in a reserve match against Real Salt Lake. King, who trained with Chicago Fire after the 2010 season, was very active during the match creating multiple scoring opportunities forcing the RSL GK with a couple of good saves and a shot off the post. 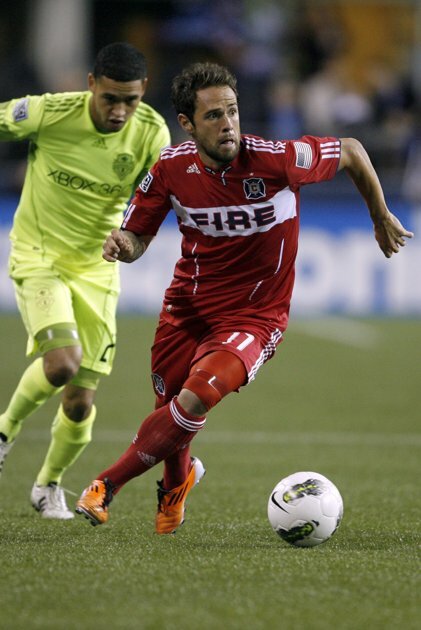 Daniel Paladini and the Chicago Fire advanced to the US Open Cup Final eventually losing to the Seattle Sounders in front of 35,613 at Century Link Field in Seattle, Washington. Paladini started and went 85 minutes for the Chicago Fire helping control the midfield and stopping MLS Best XI Osvaldo Alonso until subbed for a striker with the Fire down 1-0. Paladini started all but one match during the Fire's run including scoring the game winning penalty kick against the San Jose Earthquakes. Jonathan Steele led the NASL with 9 assists for the 2011 season. On a season loan from FC Tampa Bay, Steele and the Carolina Railhawks put together one of the most impressive regular seasons in 2nd division history securing the best records weeks before the end of the season. Steele returned to his 2008 USL-1 MVP and 2009 Best XI form and will be a Free Agent at the end of the season and will explore options in MLS, Europe and Asia.